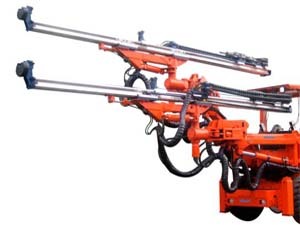 Hydraulic boom with double tripod suspension for accurate hydraulic parallel holding in all directions; Direct, fast, easy operation, good accuracy and accurate positioning between holes. Telescopic boom make up of the angle when drilling the hole of bottom and top, thus no blind angle left. 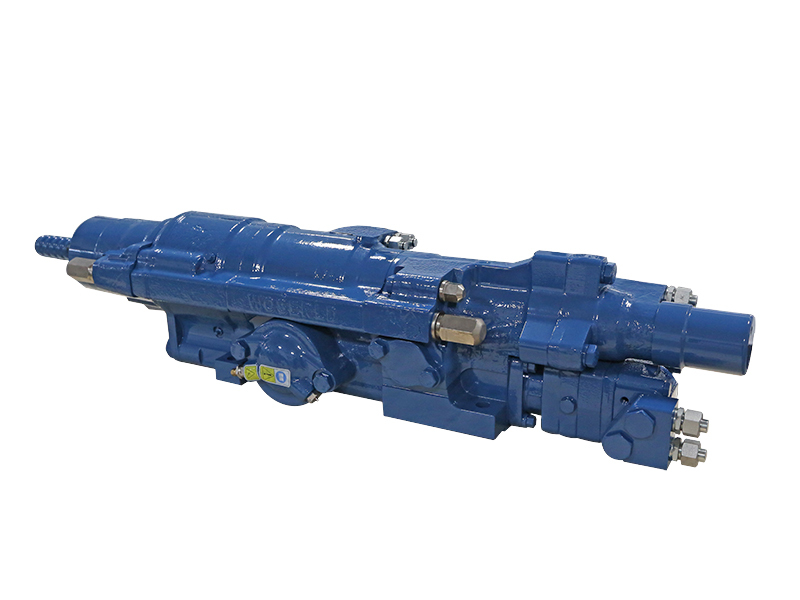 American HELAC rotary actuators with high rotation torque, high load capacity, no position shift, compact, good anti-pollution capacity, heavy-duty etc. 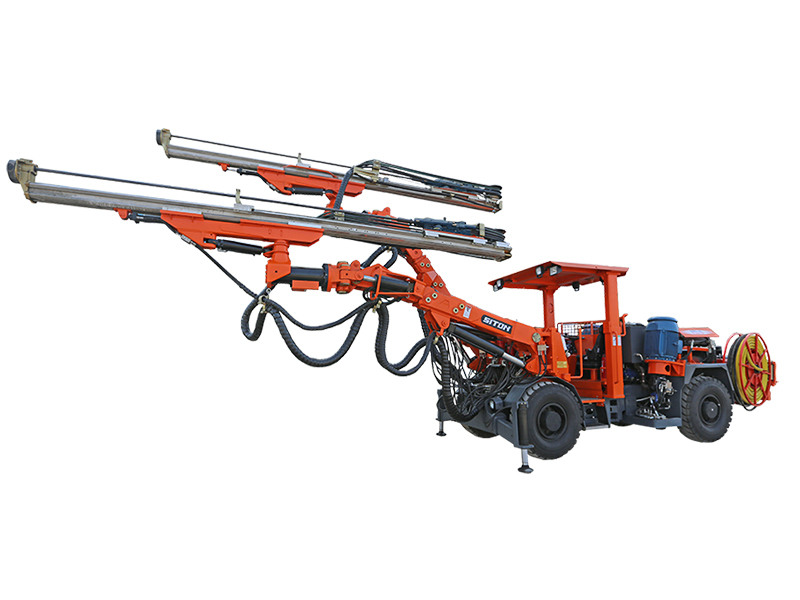 France Montabert rock drill with high hardness, high drilling speed, low drilling tool wastage, low failure rate etc. Heavy-duty aluminium feed with high bending and torsional resistance for maximum durability. Snap-on stainless steel sleeves & polymer contacts. 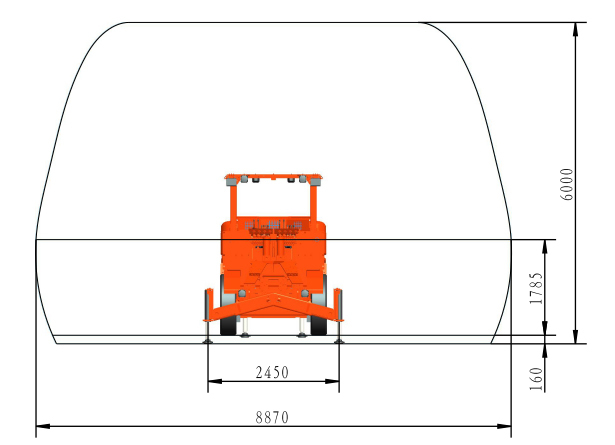 Sturdy, articulated carrier with four-wheel drive, powered by diesel engine, High speed and flexible transition improve the working efficiency. Four jacks for stable set up. 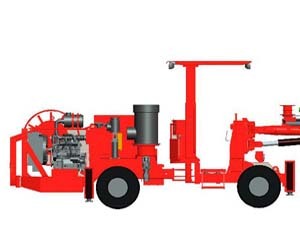 Hydraulically controlled drilling system which incorporates the anti-jamming function rotation pressure controlled feed(RPCF); Impact, Rotation and feed adopt separate hydraulic pump, independent control loop ensure the stable power output. Cable reel, control the cable automatically, save labor and improve the safety.